I recently attended a low-key, but super cool and very interesting, meetup called VR Tech Paris. Created and hosted by Vanessa de Souza Lage, CMO at Rentals United, and sponsored by Yassine Yacoubi of Bnbsitter, this informal event brought together several French vacation rental tech companies. As a big vacation rental market, with a fast-growing startup scene, France has a lot to offer. 5 French companies were there (Bnbsitter, firebnb, BookingSync, FlatsWire, and Homeloc), along with Barcelona-based Rentals United and US-based HotelCloud. France remained the world’s number 1 tourist destination in 2015. And Paris was Airbnb’s #1 top destination as well. Yes, the terrorist attacks will certainly have a drastic impact on these rosy numbers in 2016. I’ve been told that bookings in Paris were still down by 30% compared with last year. Yet, the French market is still very attractive, both on the supply and on the demand sides of the vacation rental market. When it comes to tech, French startups are becoming more and more visible. The most celebrated company within the French sharing economy is BlaBlaCar, a startup that boasts Europe’s #1 ride-sharing app (Major selling point: The platform relies on a real community of people, à la Airbnb, not on professional drivers à la Uber). BlaBlaCar has already reached the Unicorn status, having recently raised $200 million. It used to be that small French companies were limited by the size of the French market: They could develop decent products and services, but they did not go after foreign markets as fast and as aggressively as their German counterparts. Soon, they could not grow big enough to compete with the other players and they would be acquired or would die. So, the story went. The companies I’ve met are quite different: After 2 or 3 years in the business, they are already active in several countries. For instance, Bnbsitter offers checkin, checkout, and cleaning services to Airbnb hosts in multiplies cities across France, Spain and Italy. BookingSync powers the bookings of vacation rental websites in multiple parts of the world, from Greece to Thailand. As Paris is a very, very competitive market for short-term rentals, it is also an amazing testing ground for innovative technologies and services. It may be true that, in this regard, if you can make it there, you can make it anywhere. Bnbsitter offers on-demand services to short-term rental hosts (e.g. check-in, check-out, cleaning, laundry and some maintenance) thanks to its team of concierges. It was founded by Italian-born Piero Cipriano (Read his interview on the French version of this blog : Piero de Bnbsitter). I really liked how the company is now offering its services to short-term rental management companies. It is a great answer to the needs of these companies that often cannot dispatch a greeter in the middle of the night or have a limited team of employees to do the job. This B2B move was very interesting to hear about. Rentals United is based in Barcelona, but its Chief Marketing Officer is French-born Vanessa de Souza Lage. Rentals United is a Channel Manager (Distribution Platform) that already connects more than 150,000 properties to multiple listing sites and B2B channels. It was interesting to hear Vanessa explain that a good Channel Manager is about technology, but that a great PMS is about services: The customer service should be able to explain the ins and outs of every sale channel and help a vacation rental management company prepare its data so that they get uploaded correctly (e.g. right photo size for Booking.com, no diacritics like “é” in property titles for HomeAway). firebnb helps Airbnb hosts generate more booking thanks to fire sales. Guests can then enjoy last-minute deals on Airbnb listings. The service gives visibility to the price promotion and takes a cut on the booking. For the moment, the guests get their discount refunded through a cash-back scheme. It was interesting to hear firebnb co-founder Maxime discuss the reasons why automatic pricing technologies were still inefficient (Think Airbnb’s smart pricing tool or solutions like BeyondPricing). He also explained that the market in Paris was so depressed at the moment that firebnb was not only helping hosts generate last-minute bookings, but also bookings for the upcoming Spring and Summer seasons. BookingSync is a cloud-based vacation rental management platform that lets property owners and managers take and manage bookings, synchronize calendars across channels (e.g. airbnb, HomeAway, Booking) and create vacation rental websites. Denis of BookingSync explained how vacation rental management companies were using the solution to save time when handling bookings, specifically on updating calendars. If you can read French, see my interview of BookingSync’s CEO Sébastien Grosjean. FlatsWire offers a vacation rental management software solution to short-term rental companies. The product helps manage bookings, distribute properties across channels and also offers access to an international network of travel agents. The company has clients in several countries, from the UK to Israel. FlatsWire’s CEO, Xavier, explained that his product was born out of his own needs: He also owns a short-term rental company that manages 300 properties in Paris. He says that his solution is really good at boosting a team’s productivity, from handling payments to owners to automating emails to guests. BlackBell is US-based and develops conciergerie apps for hotels and short-term rental companies. Clients are able to offer their own services through the apps, as well as to earn commissions on ticketing. Sharon from HotelCloud explained how the need for mobile solutions, the on-demand nature of the convenience economy and the influence of the millenials were making it necessary for rental companies to offer services through apps. Homeloc is a French solution that helps vacation rental owners manage bookings, distribute their calendar through listing and classifieds sites, as well as process credit card payment. Clément of HomeLoc said that the company’s solution was really good at handling payments to French property owners. 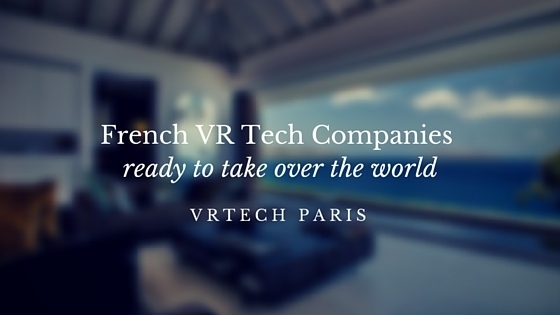 If you want to know more about VrTech Paris and about French vacation rental tech companies, go to the official Meetup page where you can know about the next events and can contact Vanessa.